We have been stuck in a weather funk, ok maybe I have been in a funk because of the weather. Whatever it is, I have been very thankful for the brief moments when the sun shines…. It has now been 11 days since my last post and we have had 12 new babies in that time period and it has been frosty and foggy for all of them! and giving their poor legs a break. This picture makes me laugh. 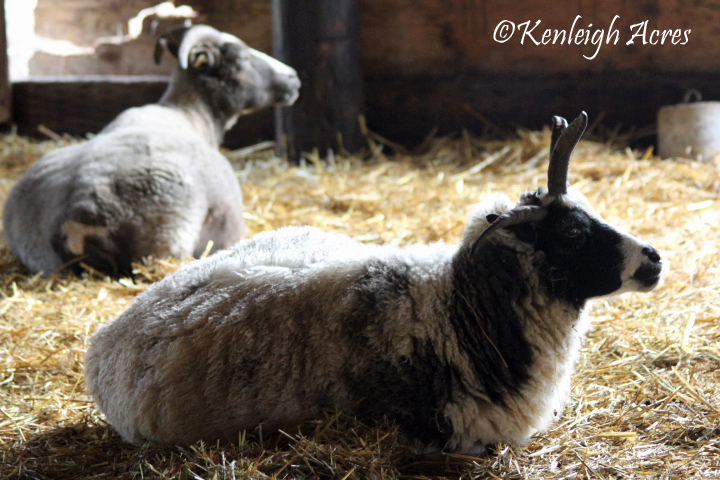 Althea has now lambed, but her legs look so little and it is exaggerated by the big boy, Dreamer, standing behind her. Dreamer is really cute with the lambs. 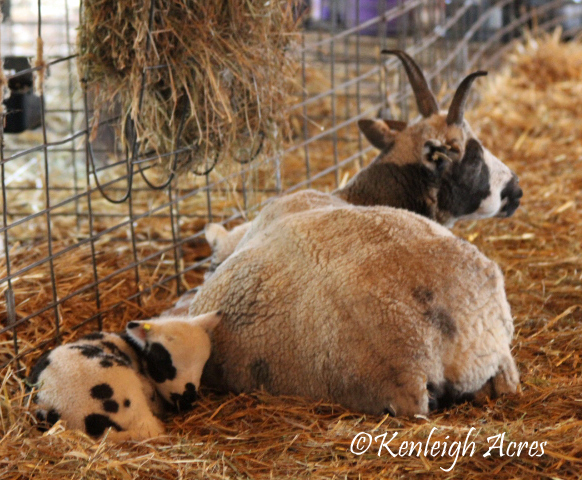 Seeing the babies snuggled up next to their mom is one of my favorite things about this time of year. 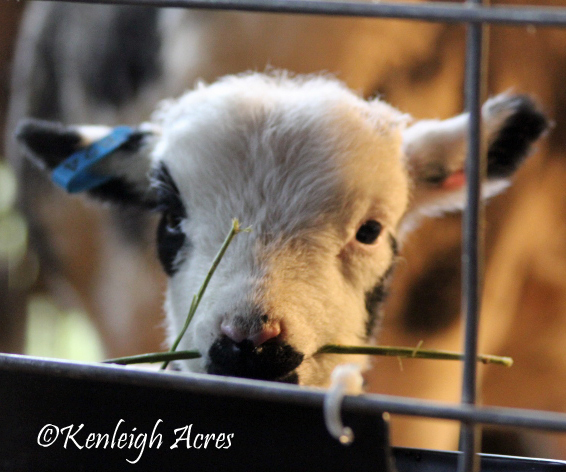 At only a couple of days old, they are already trying out what is edible and what isn’t. 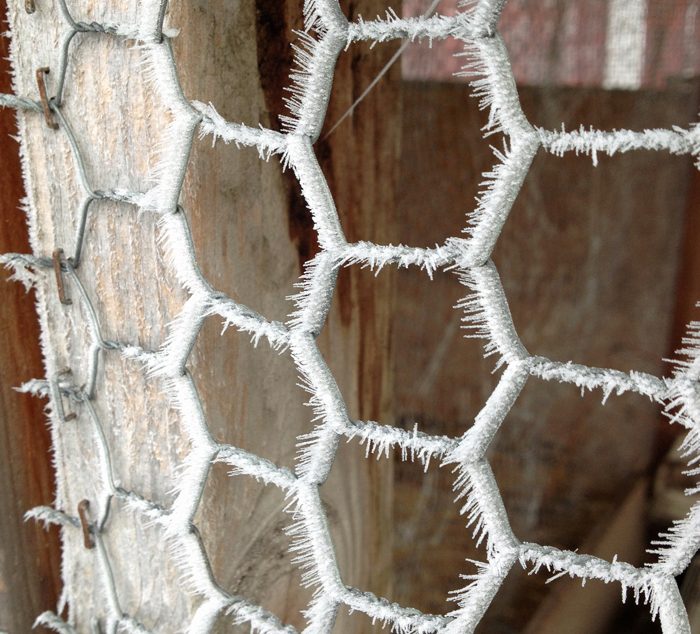 As the title said, we had lots of frosty mornings with the temperatures in the low 20’s. 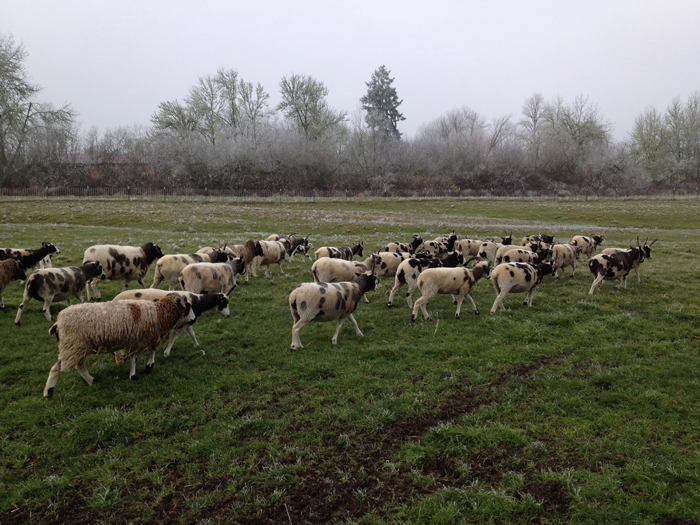 I am thankful the next batch of lambs is going to come in a bit warmer weather. 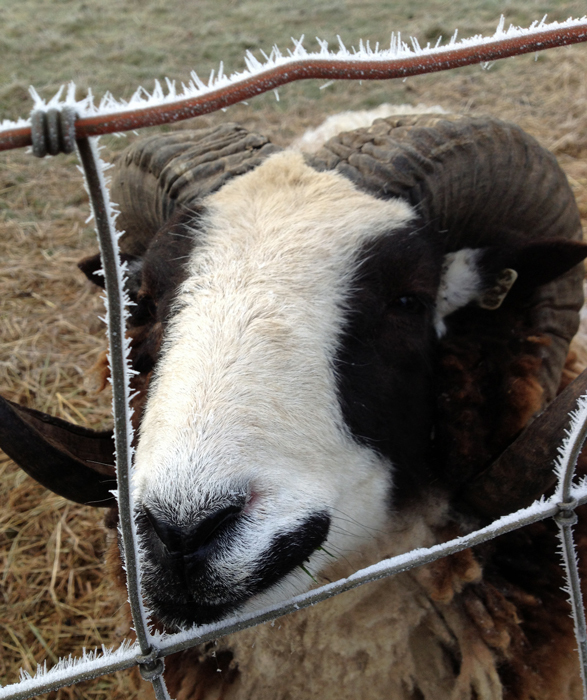 Aragon is also happy to be waking up ‘frost free’. 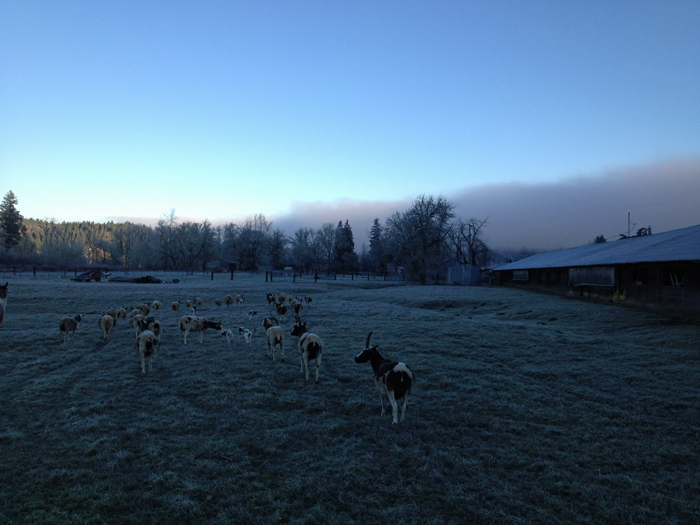 We are all happy to say ‘good-bye’ to that bank of fog that would roll in mid-morning! We have 23 lambs and this next week looks to be extra busy with 17 girls due. 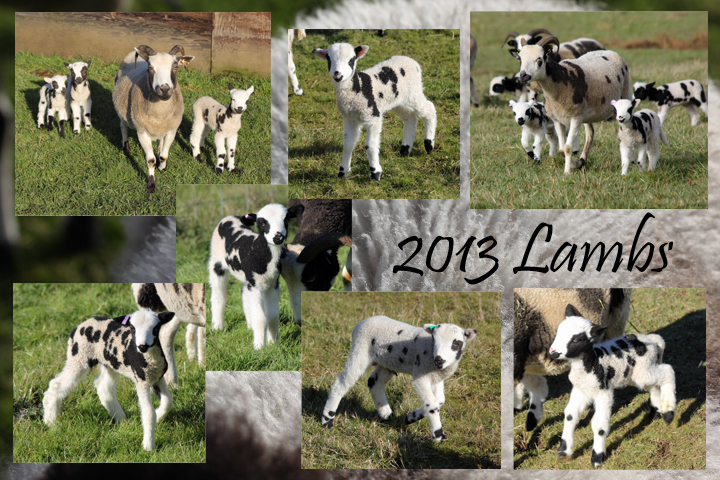 Here is a small sample of the lambs we have. 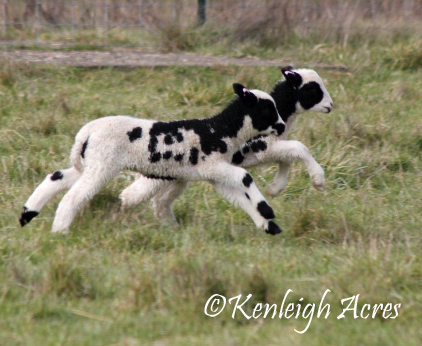 For those interested, you can visit our website to see a listing of all our lambs. 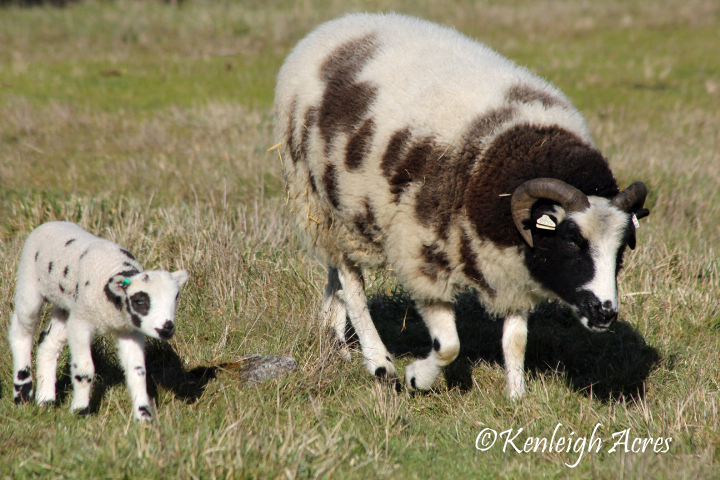 Thanks for the update, so many cute lambs, I have been looking at the lamb pics on the website regularly – I was curious to see if Bronwen had lambed yet, because she was my guess for first to lamb. 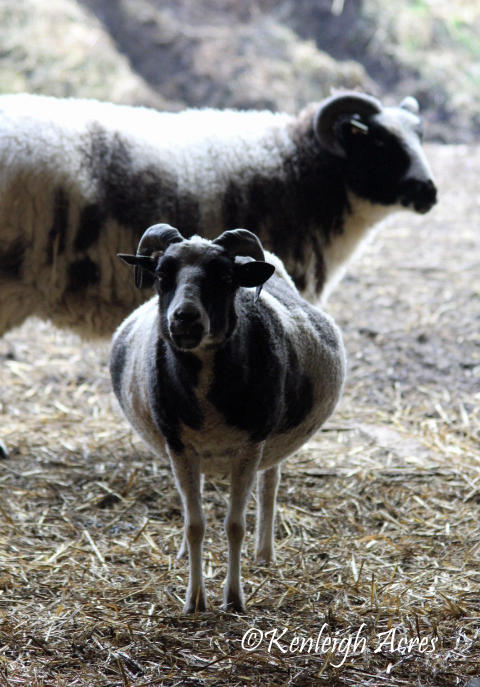 How do you decide what to name the lambs, is it linked to which ram/ewe are their parents? Hope you get some sunny days soon, fog makes everything so gloomy. Snowy and cold here in Upstate New York. What a lovely, and very cute, bunch of lambs!